Now I can truly say Happy Holidays….. and mean it. 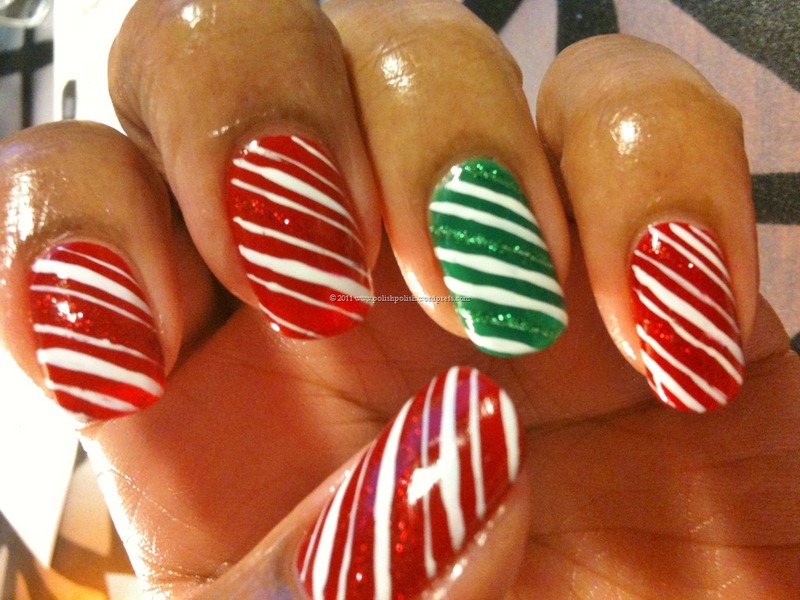 Shamica requested a candy cane design. And now I’m happy she did. I feel like my fingernails will taste like Christmas candy. 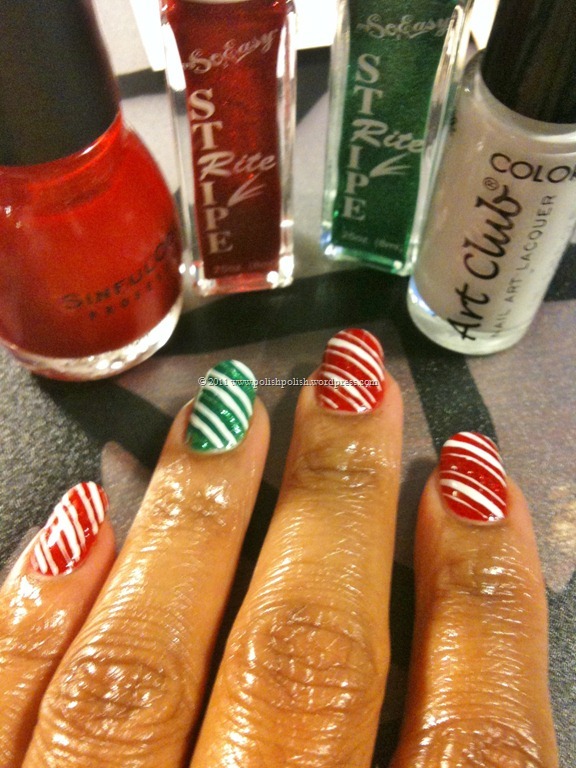 This entry was posted in Nail Art, Sinful Colors and tagged candy canes, glitter, nail art, ruby ruby, stripes. How funny that I posted peppermint candy nails today. Great minds… Nice work! 🙂 Absolutely great minds!!! wow. Thank you. still trying to teach myself more steadiness with those lines.